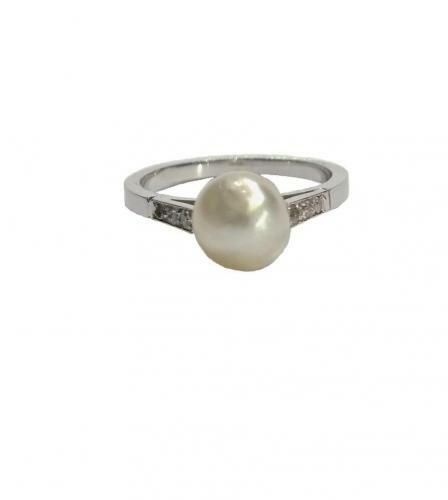 A natural pearl set as a ring, with diamond shoulders in platinum setting. The pearl of 8.00mm to 8.5mm diameter. French c.1920's.